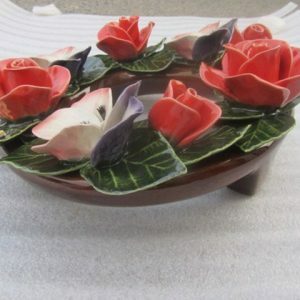 The Rose Grenat comes in 2 sizes, 20cm and 17cm in diameter. 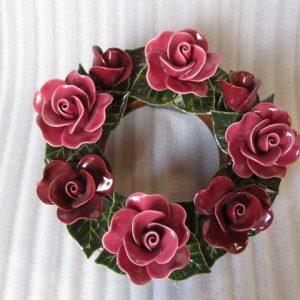 The Rose Grenat is a Maroon colour, which will add a lovely touch of colour to any memorial. 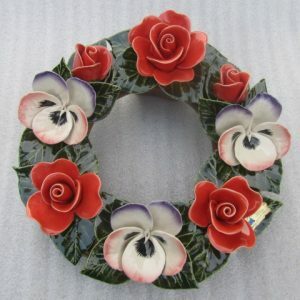 These flowers can be left free standing on the grave or can be fitted into a post. 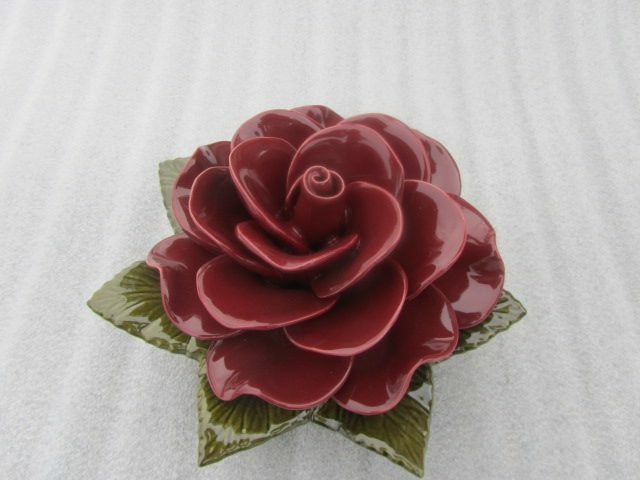 The Rose Grenat is a lovely maroon colour, it comes in 2 sizes 17cm and 20cm in diameter. 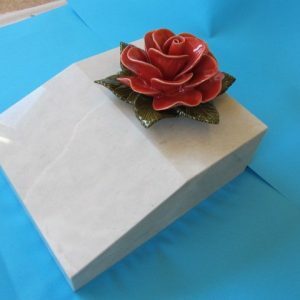 Our range of Ceramic Roses very closely match Roses which are placed on graves, but our Ceramic roses will last over time. 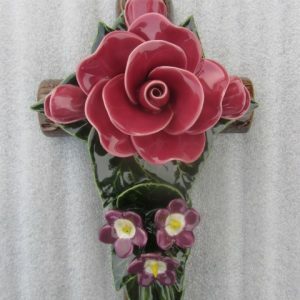 They have the great bonus of not having to be replaced on a regular basis and add a touch of sophistication to any memorials. 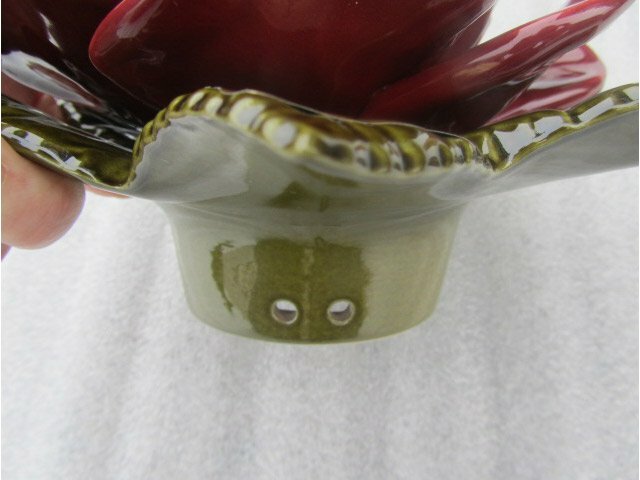 These type of ceramic flowers are generally put in a post/vase with a hole and an adhesive is used to ensure the flower stays in place. 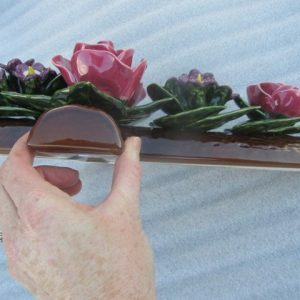 These flowers are resistant to extreme temperatures, from extreme frost to heat. 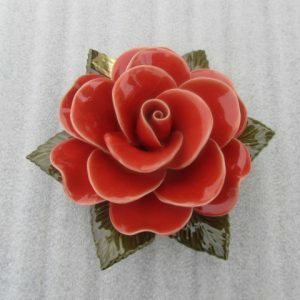 The Rose Grenat is a design that matches the classic rose flower. 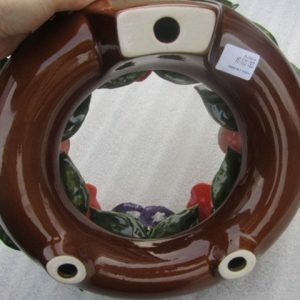 These flowers are 17cm and 20cm in diameter and have an opening at the bottom, to allow the free flow of water, that may lodge over time. 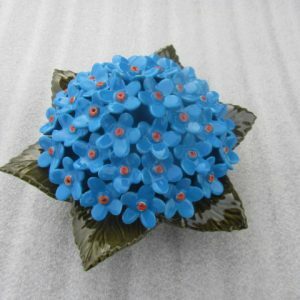 These flowers can provide a beautiful finishing touch to any memorial or headstone.